do you need some quick, easy and delicious appetizer recipes? so...it is the day before new year's eve....are you ready for your party? if not, don't worry...there is still time to plan a wonderful gathering...with terrific tasting food...that is easy and delicious. a cilantro pasta recipe? for christmas? i am so excited about this menu...can't wait to prepare, serve and...of course...eat. i will try to remember to photograph and post...but in the interim...if you are still looking for ideas for your own holiday meal...or any other time...may i suggest cilantro pasta?! squeeze of fresh lime or freshly grated parmesano reggiano cheese. chop the stems off the cilantro and separate from the leaves. cut off the very bottom tips of the stems (part that looks dry and brown) and discard. place the cleaned stems in the bowl of a food processor fitted with the steel blade. add half of the cilantro leaves and 1/4 cup of the pine nuts. pulse until finely chopped. divide the e.v.o.o in half...you will only use 1/4 cup in the pesto. with the machine running, slowly pour in 1/4 cup of the olive oil. stop machine, scrape down sides and then continue pulsing until pesto is smooth but with a bit of texture. season to taste with grey salt. set aside. meanwhile, bring a large pot of water to boil. add a generous handful of sea salt to pot and when water comes back to a vigorous boil add pasta and cook according to package directions. add remaining 1/4 cup e.v.o.o. to a large skillet and warm oil. add remaining pine nuts to oil. drain pasta well and add to skillet. 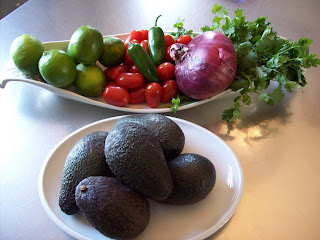 add remaining cilantro leaves, cilantro pesto, black & red pepper and stir to combine. 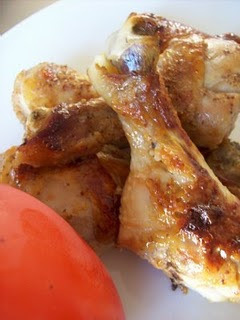 taste and add additional seasonings if necessary. serve immediately. merry, merry christmas everyone! whatcha cooking? would you like a recipe for lime marmalade pie? our lime tree is now five years old...and, like our other trees, is producing a prodigious amount of beautifully scented, amazing tasting fruit. 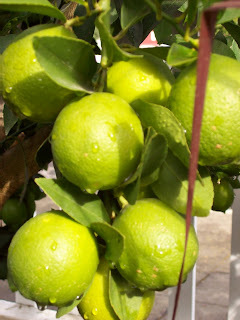 there is something fitting about limes, mandarin oranges and my beloved meyer lemon trees coming into season in the middle of december...and fruiting until almost march. when it is cold, grey and rainy...the smell and taste really help brighten the mood. but...back to the amount of limes...can i just say tons? more than i can use and give away? so...the past few weeks have been spent experimenting with different and unusual ways to preserve the bounty. 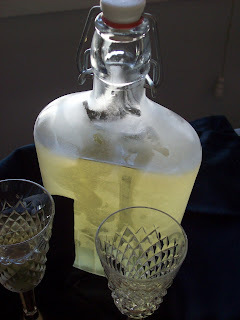 we always freeze a lot of lime juice to use throughout the year...and my recipe for lime margaritas sweetened with agave has become a oft requested favorite. (right mary and terry?) i have made meyer lemon marmalade for years...started selling it last winter and sold out by mid-summer...decided to try lime marmalade this year...what a hit! 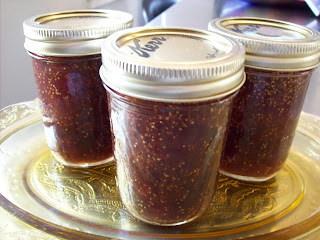 the marmalade is delicious and so i then experimented with lime & jalapeño marmalade...wow! instant best seller on the website and at studio-store...so many people asked for ideas as to how to use that i started creating recipes to send with each purchase. 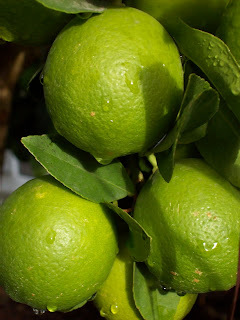 i love the tart taste of the lime marmalade and thought it would be amazing in desserts. i found a million recipes for key lime pie...and they looked really good but quite sweet....so i decided to riff on that idea with a lime marmalade pie for something a bit different. i made one for peter topped with macadamia nuts...he ate the whole pie in a couple of sittings. a few days later we invited some friends over for a tree trimming party...i made another pie...and this time i added rum-soaked cranberries to the top of the meringue for color, taste...and just because the red was so "christmasy". caitlin said, "i don't usually like key lime pies, but this is delicious!" the real test was richard who told me key lime pie was his favorite dessert... oh no! this not a typical key lime pie...much more tart, so i was a bit worried...but he ate every bite, said he loved it AND took 2 pieces home....i consider that a success. preheat oven to 375 degrees. in a small bowl, combine the graham cracker crumbs with the sugar. pour in 6 tbsp of the melted butter and mix together (i use a fork for this) until the butter in incorporated. test the mixture by pinching a bit between your thumb and forefinger. it should hold together...if not, add the remaining 1 tbsp butter and mix. pat the mixture into a buttered 9 inch pie plate ensuring the bottom and sides are covered. refrigerate for 30 minutes. meanwhile, in the bowl of a stand mixer, add the egg yolks and beat for 4 minutes using the wire whisk attachment. add the condensed milk and the lime marmalade and beat until the mixture is airy and thick...about 5 minutes. pour into graham cracker crust and bake until the filling is set (check after 15 minutes). remove from oven and set on wire rack. just before serving, toast the macadamia nuts in a dry skillet...stirring contantly...until just beginning to brown. sprinkle the nuts and the cranberries (if using) over the meringue and serve. o.k...the holiday baking has begun...so fig jam thumbprint cookies, anyone? i have spent most of my adult life traveling for business...whether driving, flying, or taking trains...corporate life required being away from home much of the time. i confess, in my "new" life i have gone in completely the opposite direction. you need a crowbar to get me to leave napa. 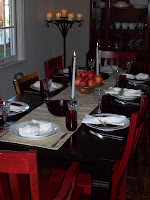 we just returned home from a long weekend in southern california for the thanksgiving day holiday. this year, my cousin maria planned a family reunion celebration for the big day...and by reunion i mean the whole gang...my parents, sisters, husbands, nephews, aunts, uncles, cousins, cousins kids...you name it...a huge crowd. i loved every minute...family is that "crow bar" i was referring to. but now that i am home i really have no desire to go anywhere else for a while. so...i must confess...i reacted with dread when my friend sondra invited me to a "holiday cookie exchange" party in san francisco this month. (sorry sondra)...i love her...and have not seen many of my sf friends for a long time...but...that drive! !..in traffic!!! i almost declined the invitation. then i had a long talk with myself and decided to get a grip...i mean, c'mon...san francisco is an hour drive from napa...not exactly the same as packing for europe...traffic? i grew up in los angeles people...am an old hand at traffic. and i reminded myself of the important things in life...family and friends being at the top of the list...and what would the holiday season be without a ton of baking? so...cookie exchange...here i come.... anyone interested in thumbprint cookies with fig and grand marnier jam? 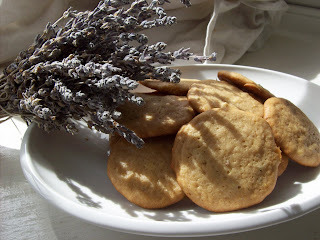 maybe the peanut butter and jelly cookies i told you about last month?...and then there are lavender cookies to consider...and what about chocolate with balsamic......? preheat oven to 350 degrees. prepare 2 baking sheets by lining with either silpat or parchment paper. in the bowl of a mixer, beat together the butter and sugar until well mixed and fluffy. add the egg and vanilla extract and beat until completely incorporated. 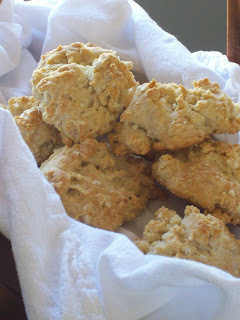 in a separate bowl, sift together the flour and salt and then add to the mixer ingredients. mix until dry ingredients are combined with the wet ingredients...do not over mix. stir in the orange zest. roll the dough into balls about 1 1/2 inches in diameter and place on prepared cookie sheet. use your thumb to make a small hole in the center of each cookie...press about 1/2 way down the dough ball. bake in preheated oven for 10 minutes. remove from oven and fill each "thumbprint" 1/2 full with the jam. return to oven and bake for an additional 8-10 minutes until cookies are just beginning to turn golden. remove from oven and fill the rest of the thumbprint "hole" with the remaining jam. place on racks to cool before serving. happy holiday baking everyone...whatcha making? to receive special offer only available to our preferred customers..please sign up for the mailing list on the right hand sidebar of this blog...thank you..